The coalition has more than 40 member organizations working for private, state and municipal funding to plan and build projects that mitigate flooding, provide Climate Change resilience and improve water quality. The goal is to increase the use of nature-based strategies in urban communities to improve the environment and create local jobs. 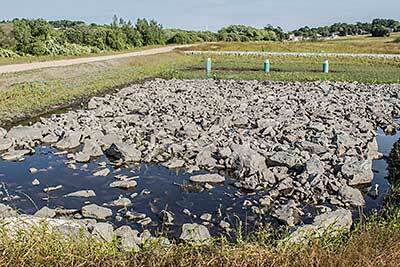 The coalition also highlights current projects in the state that protect water quality and human health from the pollutants storm water runoff carries. 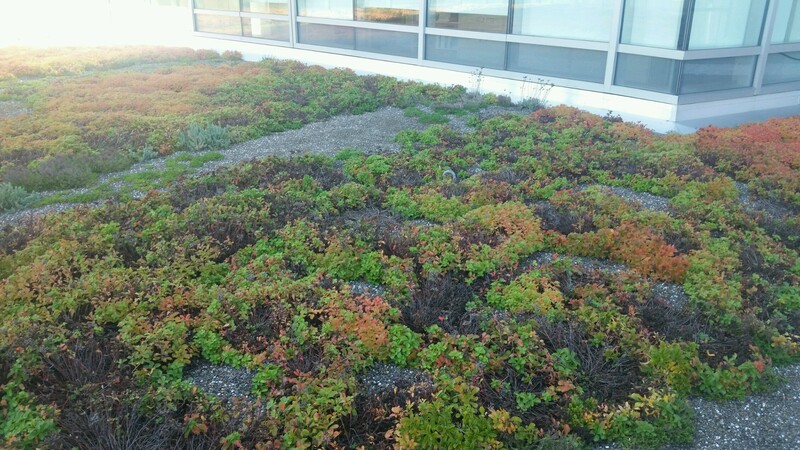 The methods we support include rain gardens, bioswales, roof gardens, riparian buffers and permeable pavement. 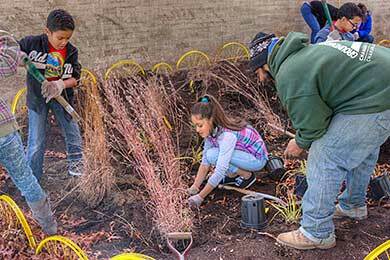 The coalition promotes green infrastructure through education, support for funding, and engagement with local governments and stakeholders. 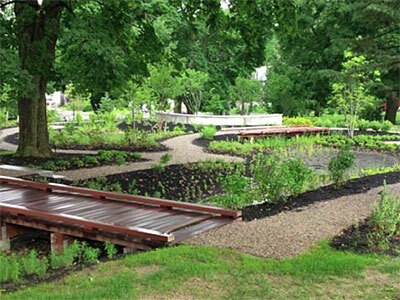 This bioretention basin system captures and filters runoff from the Slavin Center roof, walkways and landscape areas on the Providence College campus. To find out more about this program, please contact Dave Gerraughty, dgerraughty@cleanwater.org.